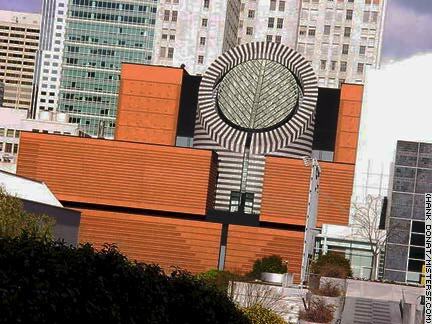 151 Third Street The San Francisco Museum of Modern Art (SFMOMA) became the first museum on the west coast dedicated entirely to 20th Century art when it opened in 1935 at the War Memorial Veterans Building in the City's Civic Center. The $80 million building at its current location on Third Street was designed by Mario Botta and has received rave reviews from locals and visitors alike since the campus opened on January 18, 1995. Inside, the permanent collections include works by Claude Monet, Pablo Picasso, Piet Mondrian, Rene Magritte, Jackson Pollock, Frieda Kahlo, Mark Rothko, Margaret Bourke-White, Richard Diebenkorn, Georgia O'Keefe and Bill Viola to name just a few. Free admission the first Tuesday of every month.